UPDATE 11/14/18 2:00 p.m. 21-year-old Brianna Lucas was pronounced dead around 11 a.m. in Shannon Medical Center. She is the third person to die from injuries sustained in the wreck overnight. SAN ANGELO, TX — Late last night, a vehicle crashed into a utility pole and rolled-over in front of Packsaddle Barbecue in the 6000 block of Knickerbocker Road killing two, San Angelo police said. According to San Angelo Police Traffic Investigator Sgt. Cade Solsbery, the crash happened just before midnight last night (Tuesday) and alcohol was involved. “We are still investigating to what extent,” he said. Four people occupied the gray 2016 Ford Mustang. The driver, identified by police as 23-year-old San Angelo resident Aaron Boatright, was located deceased inside the vehicle. 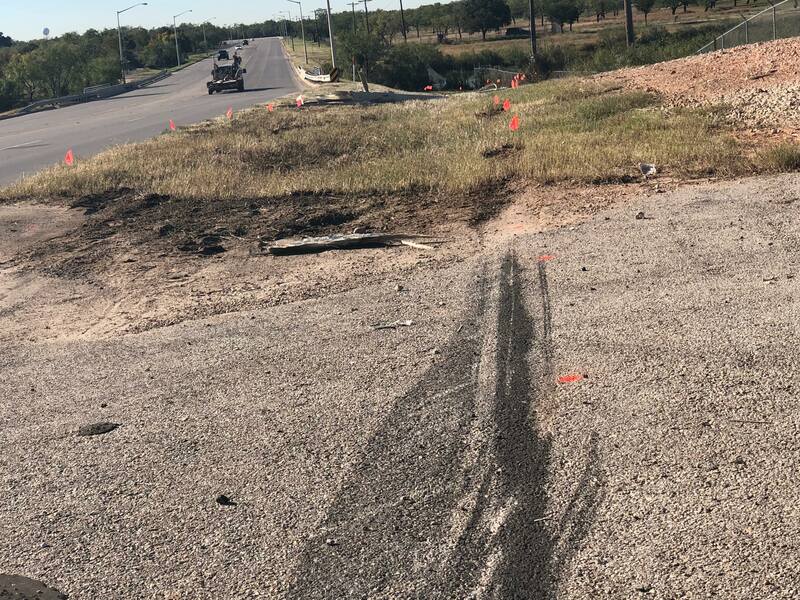 The front passenger, identified as 22-year-old San Angelo resident Christopher Pena, was transported to Shannon Medical Center for treatment of minor injuries and later released. Boatright and Pena were wearing seatbelts. Two back seat passengers who were not belted in were ejected from the vehicle. 18-year-old San Angelo resident Adolfo Toriz was located deceased at the scene. 21-Year-old San Angelo resident Brianna Lucas was transported to Shannon Medical Center with serious injuries. Boatright, the Mustang driver, lost control. He was was southwest-bound on Knickerbocker, departed the prepared roadway surface, hit the wooden fiberglass telephone pole and rolled several times, police said. The two passengers in the backseat were ejected, Solsbery said. The backseat passengers were not wearing their seatbelts; the occupants of the front seats were seatbelted. Police said a blood sample was taken from the deceased driver to determine the blood-alcohol content. In Texas, a driver with a BAC of 0.08 percent or higher is considered intoxicated.